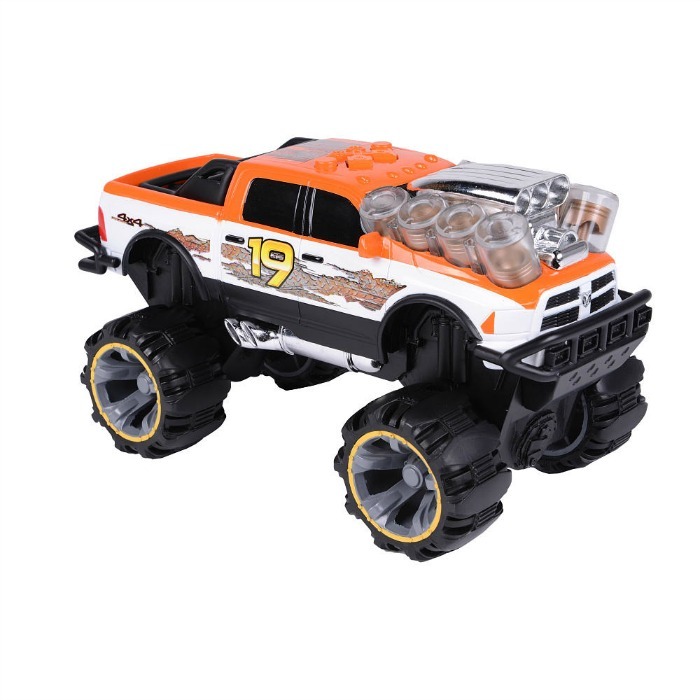 It's not too often that I find a toy that exceeds all of my expectations, and I don't usually start off so strongly with my opinion in a toy review, but there's just no other way to say it, I'm thrilled with the Piston Thumper truck from Toy State! With everything from lights and sounds to quality craftsmanship and even movement, Toy State has put everything kids love in a product that parents will appreciate and come back to time and time again. I can still remember the night my cell phone rang just shortly after 8:00pm on a Tuesday night. As soon as I looked down at the number and recognized it as the number to my doctor's office a tight knot formed in my stomach. Somehow, I knew I was about to hear something that would rock my world. "Mrs. Crayne? This is a nurse from your doctor's office. 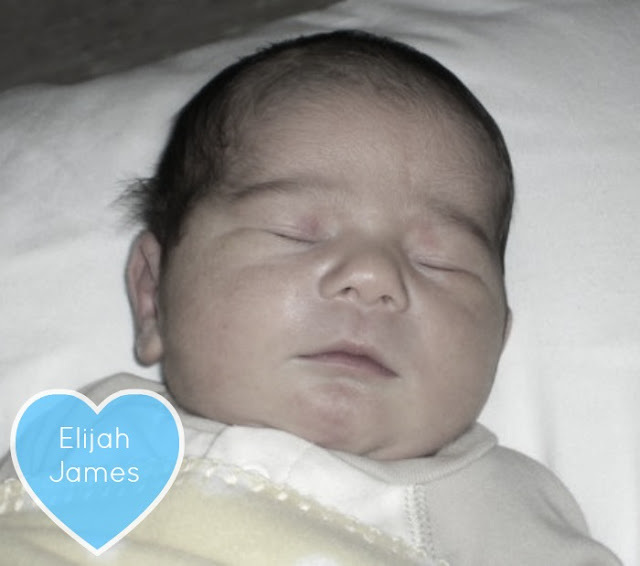 I'm sorry that I can't answer any of your questions, but I had to call you to inform you that the test results from your baby's ultrasound did not come back normal. We have discovered multiple cysts covering both kidneys". It was impossible to stop the fear and tears that began to wash over me in that moment as I found myself pleading for answers. "I'm sorry Mrs. Crayne, I can't answer any of your questions, all I can tell you is that you need to make an appointment as soon as possible to follow up with your doctor." In that moment, my world came to a screeching halt. First thing Monday morning, I found myself 45 minutes from home in a new doctors office, where following a 2 hour ultrasound, my husband and I were taken into a small room, sat down in two cold metal chairs, and told, "I'm sorry to have to tell you this, but it doesn't look like your son will make it to term, and if he does, he only stands a very small chance of survival" God, however, had a different story in mind for Elijah. It's a story about faith. It's a story about hope. It's a story about a miracle. Disclosure: This is a sponsored post on behalf of Family Christian. All opinions are my own. School is out! I am one of those crazy parents who loves the summer because it means I get to have my kids home more. I love all the extra time I get with them and the simpleness our family life takes on with all of the school activities over. But with the simpleness comes also the need to keep my kids entertained (without sitting them in front of the TV screen for hours a day). I also want to keep them excited and invested in reading. Family Christian's Summer Reading Program is the perfect solution to encouraging my kids with goals of summer reading and a great way to keep them entertained with books instead of the TV! Disclosure: This is a sponsored post on behalf of Scotties. All opinions are my own. In our home, our furry animals are just as much a part of our family as the humans. We have had our dog, Buster for over 12 years now which means that as long as my kids have been alive, they have always had him by their side. Buster very much likes being the only pet with hair in our home, but I'm sure with four kids, eventually, a cat will find it's way into our home and into our hearts. No matter what city or town you live in, somewhere near you is a shelter full of cats and kittens looking for their forever family. If you are considering bringing a new pet in your home, consider adopting one from your local shelter. I've always loved the softness of Scotties tissues, and now they've given me new reason to continue to support their product! One of the greatest joys I have found in life is cooking delicious meals for my family. While some people find cooking to be just another difficult task they have to do in the day, cooking has become a very special way to express my love to my husband and my children. I have always loved being creative and inventing new recipes has become almost my own form of artwork. Some artist use paint to make a masterpiece we see with our eyes, musicians takes notes, instruments, and voices and put them together for our listening pleasure, I just happen to use ingredients to make my own showpiece that my family enjoys (hopefully) with their taste buds. I had never cooked with clay, but I heard fantastic things about the benefits and flavor of fixing food this way, and Miriam's Earthen Cookware send me a clay pot, pictured above, at no cost, to facilitate this review, and give me a first hand experience in healthy cooking with clay. I couldn't wait to get into the kitchen! I'm always ready to create something new in the kitchen. My husband used to brag to his co-workers that he loved going home to dinner, not just because it tasted good, but because his wife never made the same meal twice. Of course, he exaggerated slightly, I do make meals more than once, but I do love to bring different dishes and flavors to my family as much as possible. Nontraditional Southern Korma is my take on Indian flavors mixed with Southern comfort. Of course, in any traditional Indian food you would never find beef - but in Southern cooking - it's pretty much a staple. My Nontraditonal Southern Korma is served over hot white rice. Serve with traditional Indian naan, or at our house, we devoured this meal with some buttermilk drop biscuits. Recently, my husband found himself in need of a new wallet. Ben has tried different wallets throughout the nine years that we've been married and probably the longest lasting one he has used was a pretty standard money clip. I'm always on the hunt for something new, different, or cutting edge and I also have come to love the use of raw and natural materials. As soon as Ben gave me the green light to search for a new wallet, I immediately thought of how sleek and eye-catching it would be to have a wooden wallet. Before long, my search led me to Slim Timber, who sent me the wallets pictured above, at no cost, to facilitate this review. As soon as I took these wallets out of the box the first thing I noticed was how lite they were. I was seriously shocked! You would think that with using a heavier material like wood they would feel bulky and heavy, but these wallets proved to be sleek and easy to carry. The Slim Timber Rosewood Card Wallet, and the Walnut Card Wallet are both rich in tone and color and as you can tell from the picture above, the appeal of the wood tones and grains shine through both styles. Obviously, the Walnut version is made from Walnut versus the Rosewood, but the other materials and specifics remain the same. These both are truly fantastic wallets, especially for someone who is looking for a Card Wallet variety. The bottom and sides of the wallet is lined with black leather and I'm so thrilled that Slim Timber kept with the rough, natural textures and materials in finishing this wallet. I can tell you that these wallets are very well made (I have not experienced any "give" or looseness in the leather or the wood) and using a strong material like leather adds to the masculine feel of these card wallets. For my cards, eight was a pretty tight fit. I did find that I could get them all in as long as I put the cards in alternating with the side of the card that had the raised numbers. Six cards fit extremely well and definitely left room for cash. It also made it extremely easy to thumb through them to pull out the exact card I needed. The elastic strap keeps the cards securely in place. "Slim Timber" describes this wallet to a "T"! I never would have imagined that I could fit so much into such a sleek wallet! My husband loves his new wallet and doesn't mind the compliments and the looks of intrigue when he pulls it out. Slim Timber doesn't just make wallets - although they have three different wallet varieties (each variety coming in two different choice wood grains) and you can check them out HERE. Slim Timber also makes watches and even bow ties! Click HERE to check out all of their products. Ready to purchase your own Rosewood or Walnut Card Wallet? Purchase your own HERE for only $35.00. Don't forget to follow Slim Timber on their social media pages to hear about all of their newest products and be the first to learn about their latest promotions! Keep one and give one to a friend or keep them all for yourself! We're giving away a Slim Timber Rosewood AND a Walnut Card Wallet to ONE lucky reader! The giveaway will end July 3 2015 at 11:59pm. Open to residents of the US only and must be 18 years old to enter. Enter using the Giveaway Tools entry form below. Disclosure: I was sent the item listed above at no cost to facilitate this review. Prize fulfillment is the responsibility of Slim Timber and not Our Southern Style or Thrifty Nifty Mommy. This giveaway is not associated with Facebook, Twitter, Instagram, or Pinterest. 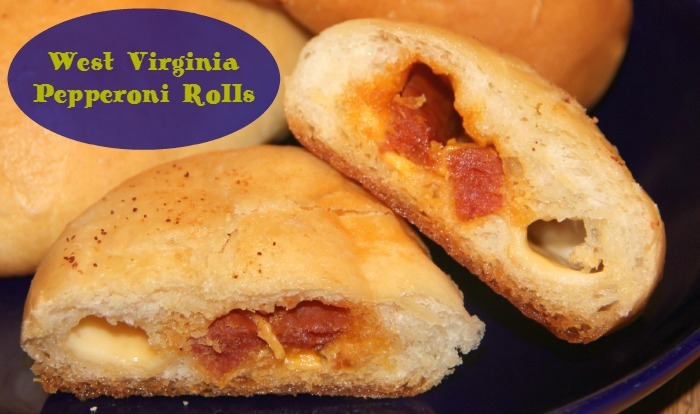 If you are a born and raised West Virginian, you know that one of our most famous foods is the Pepperoni Roll. We did invent it after all. I can remember when I was very little, growing up in Shepherdstown, WV, my Mom taking me and my brother to this little family owned grocery store. If we were really good, and my Mom had some extra change to spare, we always got treated to a fresh baked, delicious pepperoni roll. In honor of my home state, I had to create my own pepperoni roll recipe and I hope you appreciate it and love it as much as my family does. Most traditional WV pepperoni rolls don't have cheese - but I love the extra flavor and texture it adds. My kids always beg for this recipe, and whenever extended family comes to visit - these pepperoni rolls are always requested! When I first came across Better Life BAGS, I had no idea there was such an incredible story behind their purses. I just thought they looked fabulous! Aside from the fact that Better Life Bags allows you to choose from some of their own creations, this awesome company also allows customers to literally design their own bags by choosing different fabric patters, textiles, and colors. More impressively, Better Life BAGS gives empowerment to women living in low-income and impoverished communities by giving them employment, teaching them a life skill, and giving them back their sense of pride and accomplishment, through this second chance at life. Click HERE to read the whole story on how Better Life BAGS gives back to the community. For my Better Life BAG, I had the opportunity to "design my own" Mini Crossbody Bag, which starts at $78. The Mini Crossbody Bag isn't the only style of bag that Better Life BAG offers, they are adding new styles all the time! I absolutely love this style of bag, which is becoming more and more popular these days. It's the perfect purse for those casual weekdays and perfect for a day of shopping! I love that with this style, I can throw it over my shoulder, keep it close to my side as I shop, and especially appreciate that it doesn't slip off if I bend down. My bag arrived a couple weeks after I designed it and was accompanied with a special note detailing the name of the very special woman who hand made it with loving care. It was an awesome feeling to have just a little connection to such a positive company and to know that my bag helped provide someone with a financial blessing to improve their life for themselves and their family. Looking for something a little different than the Mini Crossbody Bag? Click HERE to check out all of the different styles available at Better Life BAGS! I was surprised by the amount of room I have in the Mini Crossbody Bag! The biggest portion of the bag allows me to keep my very large billfold wallet, lotion, keys, Chapstick, tissues, and more! The second front zipper pocket is the perfect size to hold my cellphone. I personally try to keep my cellphone in a pocket all by itself - but if needed, there's still more space to fit additional items in the front pocket as well. Truth be told, everything I have needed to carry in my purse I've had room for and have yet to "exclude" something I needed in order to zip this bag shut. Overall, the Mini Crossbody Bag comes with plenty of room! I chose to add a leather tassel ($18) to my bag which added an extra touch of fashion to my bag. It's also an easy way to attach your keys if you like to keep them on the outside of your bag within easy reach. If you can't tell by the smile on my face, I'm quite taken with the carefree, effortless beauty of this bag, but then of course, I do know the designer (wink wink). It pairs perfectly with jeans or a summer skirt! If you have a special outfit and can't seem to find the perfect bag to compliment it - head over to Better Life BAGS and design one of your own today! You never know what kind of trend you might start! With a bag made from the highest quality, no doubt my outfit will wear out long before my Better Life BAG. Click HERE to visit the Better Life BAG website, start designing one of your own today, or choose from their ready to ship selection! Don't forget to follow Better Life BAGS on social media so you don't miss out on upcoming promotions and products! Living in a town house has it's ups and downs. I love that we are within walking distance to our schools (which also means several playgrounds) but it also means that we don't have a big backyard for my kids to run and play in. Today is the last day of school for kids here in West Virginia, which means Mom is on the hunt to find lots of different activities to keep my kids occupied, learning, playing, and hopefully outdoors to enjoy the summer weather. 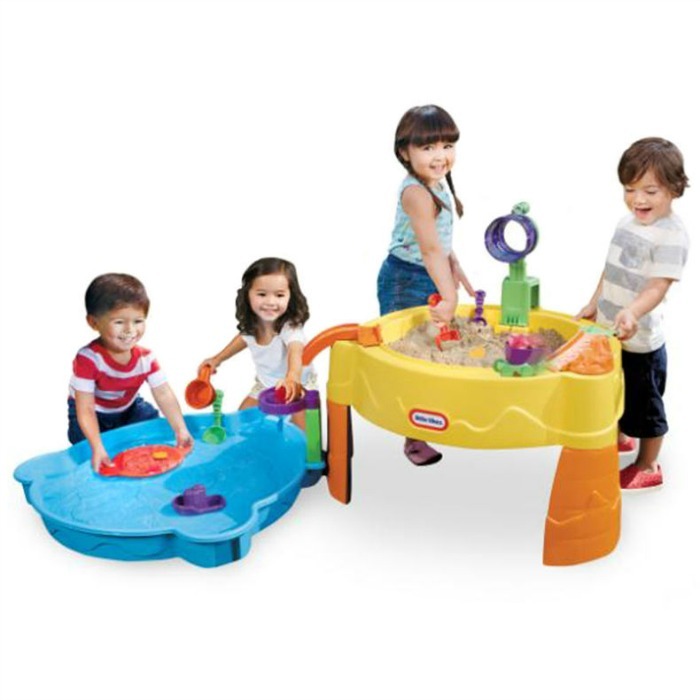 The Little Tikes Treasure Hunt Sand & Water Table arrived just in time and my two youngest boys couldn't wait to try it out! Disclosure: This is a sponsored post on behalf of Lalaloopsy. All opinions are my own. In the first episode, "Blossom's Amazing Amazies," Blossom is determined to help all her friends grow gardens. Some of them live in inhospitable climates, so she tries to change their environments, with unexpected consequences. "Two Pirates are Better than One"
Don't miss out on the second episode, "Two Pirates are Better than One," in which Patch Treasure Chest and Peggy Seven Seas compete to be the first pirate to find a treasure, each using a ripped treasure map. Only when they combine maps, and efforts, do they finally succeed. Want to get a sneak peek of these episodes? Visit Lalaloopsy on YouTube HERE for all kinds of Lalaloopsy fun! To add to all this Lalaloopsy fun, we're giving away another fantastic Lalaloopsy prize! One reader will win these two, fun Lalaloopsy dolls! The giveaway will end June 22, 2015 at 11:59pm. Open to residents of the US. Must be 18 years old to enter. Enter using the Giveaway Tools entry form below. Disclosure: This is a sponsored post on behalf of MGA Entertainment. Prize fulfillment is the responsibility of MGA Entertainment, and not Our Southern Style or Thrifty Nifty Mommy. This giveaway is not associated with Facebook, Twitter, Instagram, or Pinterest. Disclosure: I was sent the books, pictured above, at no cost, to facilitate this review. 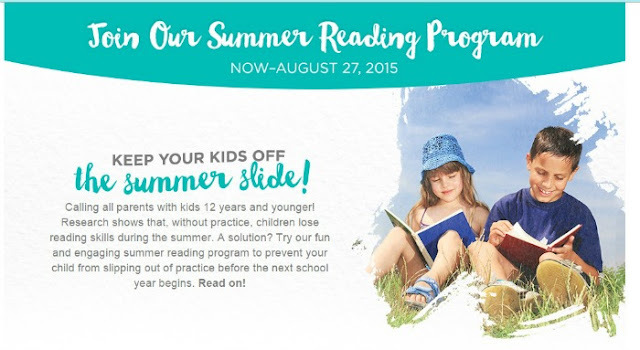 My kids love to read and I'm pretty sure, I enjoy getting to read to them even more! Since I've started my blogging adventure less than a year ago, I've had the opportunity to introduce my kids to a lot of different books. It's been one of the things I've enjoyed most! Bedtime reading is such a precious part of our day. Not only does it help quiet them for sleep, but it gives them an opportunity to sit still from the busyness of the day and let their imaginations take over. I love watching their little faces as they enter world after pretend world and join in the adventure of so many different characters. As a Mom, these bedtime moments are ones that I will treasure forever! If there's one person in our house who isn't afraid to let her individuality and ideas stand out, it's our 7-year old daughter Eva. Even though I'm an adult, there are times where I am envious of her ability to be confident in who she is, and the fearlessness she possesses. Don't get me wrong, she's still seven; and like most 7-year old girls she has her moments of little girl meltdowns. But more often than not, she's perfectly willing to step in for a kid who's being bullied on the playground at school, or quietly give a hug to someone in need. She's sweet and she's also sassy and I love that Chooze Shoes, who sent me one pair of shoes at no cost to facilitate this review, celebrates all of these qualities and let's her wear her heart on her feet! For decades, that tussling twosome Tom and Jerry have chased their way into the funny bones and hearts of moviegoers and television viewers in a variety of unforgettable cartoons. In the 1960's, acclaimed animation director Deitch, was selected to bring a new set of Tom and Jerry shorts to life and my kids can't wait to get in on all of the Tom and Jerry action!